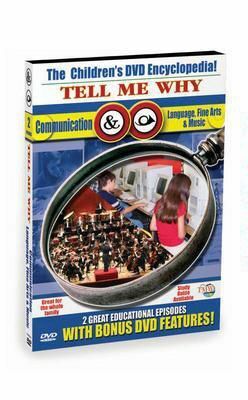 Language, Fine Arts & Music" focuses on questions like: What is Language? Who first thought of the alphabet? How did English begin? What are fine arts? What is music? Topics in this episode include: Dictionary, Encyclopedia, Theater, Paintings, Jazz, Orchestra. "Communication" focuses on questions like: What is the purpose of communication? What would happen if communication didn't exist? How does our environment affect the way we communicate? 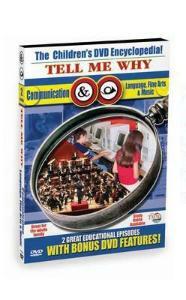 Topics in this episode include: Computer, Conversation, Telecommunication, Email, Body Language, Telegraph, Satellite.